Layers of London is a map-based history website developed by the Institute of Historical Research. 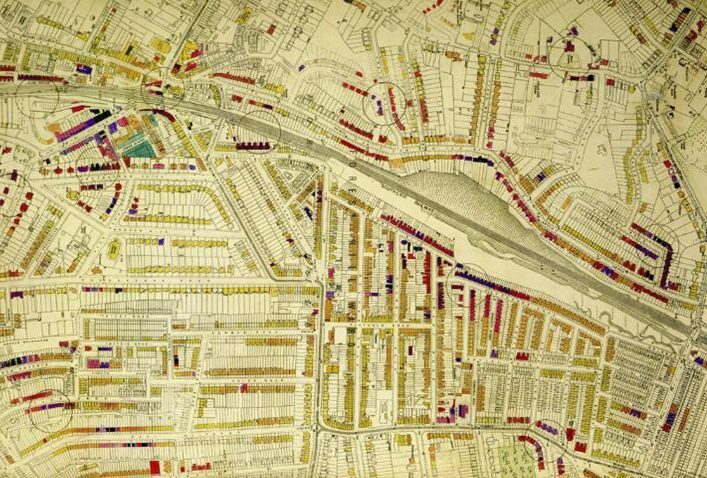 Users can access free historic maps of London and contribute stories, memories and histories to create a social history resource about their area. Start exploring now! Layers of London brings together, for the first time, a really important collection of digitised historic maps, photos and crowd-sources histories provided by the public and key partners across London. Our partners include: the British Library, The London Metropolitan Archives, Historic England, The National Archives, MOLA (Museum of London Archaeology) and a wide range of national and local archives, institutions, community groups and individuals. This website allows you to interact with and contribute to many different 'layers' of London's history from the Romans to the present day. These layers include: historic maps, old pictures of buildings, films, recordings, as well as stories about people who have lived and worked in London over the centuries - added to the map by Londoners themselves! 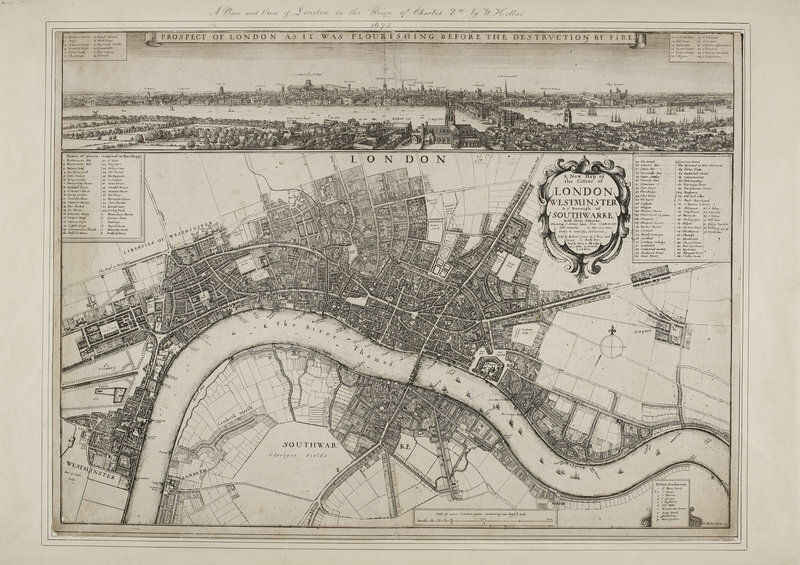 "Prospect of London as it was flourishing before the destruction by fire" This map dates from 1675. The view of the city at the top of the map represents it as seen from St George's Church, Southwark, looking north towards the Thames. The bridge that can be seen is London Bridge. A major element of this project is to work with the public at borough level and city-wide, through crowd-sourcing, volunteer, schools and internship programmes. Everyone is invited to contribute material to the project by uploading materials relating to the history of any place in London. This may be an old photograph, a collection of transcribed letters, a recorded interview, a video, or the results of local research project. You don't need our permission to do this, just create an account and start contributing! Browsing the map will give you a good idea of what sort of content works best. All content contributed to Layers of London is under a Creative Commons Licence, encouraging respectful collaboration and sharing. If you need it, we can offer support, equipment, training and collaborative volunteer programmes to support you enriching the map. Detail of a London Bomb Damage Map. The London Bomb Damage Maps recorded the damage to buildings caused by WWII airstrikes. The darker the colour, the more serious the damage. Few people realise how extensive the damage was. This map shows Forest Hill in South East London. (London Metropolitan Archives). We hope that Layers of London will launch new local heritage projects across the 32 boroughs of London and we would love to hear from you if you have ideas to share. 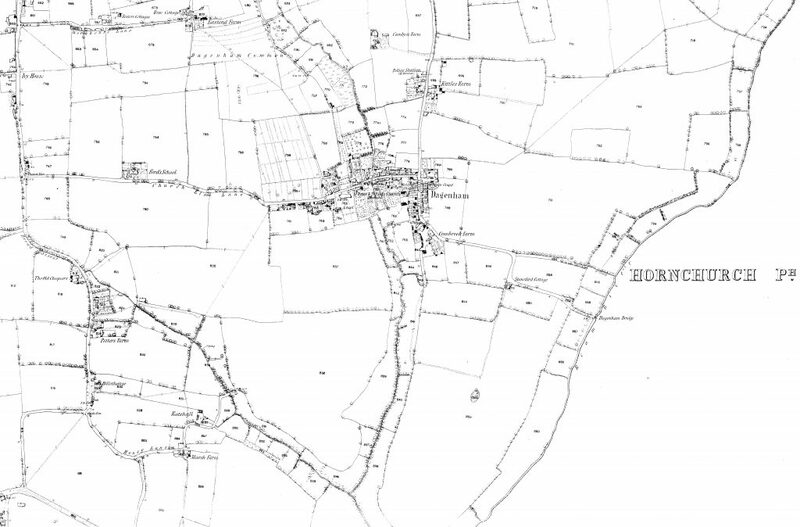 An early ordnance survey map showing Dagenham in the 1850s - then just a small village! "Woman playing guitar" photo by Maaria Lohiya on Unsplash.